My cell phone is beeping to its demise and I can’t recharge it! I usually don’t keep my charger on me, so when I’m low on batteries I pray to the cellular gods to keep my phone running ’til at least sundown. 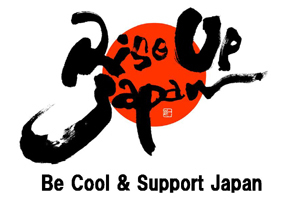 Wish I was in Japan. 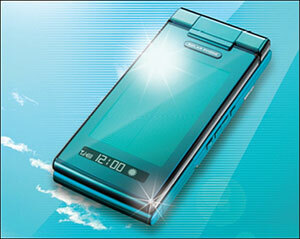 Then I’d get a Solar Phone SH002 by Sharp. It’s the first of its kind, recharging the battery under the sun so that you can wander for days in the desert and keep in touch with your BFF. For every 10 minutes of golden rays, you get one minute of talk-time or 2 hours on standby, which isn’t bad if you’re the type who spends lots of time outdoors. Vampires be warned. In true Japanese fashion, you get a nice array of colors to choose from: sky blue, prism white, and sparkling red. And as an added bonus, the phone is also waterproof (!?) — though water-boarding isn’t encouraged. I didn’t take Arrowhead seriously when they introduced their eco-shaped water bottle a couple years back. Its ‘new and improved’ shape seemed to have more to do with a curvy woman than with saving the environment. It touted “30% less plastic!” but also looked like it had 30% less water, too. Boo~ I was not impressed. The half-liter bottle weighs just 12 grams when empty and uses 40% less material than most other water bottles. In a year, that amounts to 3,000 tons less in the landfills. But the real eye-catcher is just how quickly and effortlessly it shrinks in size. It’s like a work of art! With a little imagination, I bet you can twist it into a flower, a robot, or even a person. If only it were biodegradable. but they’re doing their best to spread the word. Why are the cars only available to a select few in California? Because in most U.S. cities, refueling is not an option. Here in L.A. there are several hydrogen filling stations (okay, Torrance and Irvine aren’t exactly the greatest places on earth, but you’ve gotta start somewhere). Japanese customers will begin receiving the cars this fall. You’d think the FCX would resemble a fantasy car of the future, but actually it doesn’t look all that different from a Civic. With the price of gas skyrocketing, Honda isn’t the only manufacturer looking to ramp up exploration and production of alternative-fuel cars. Japan’s #1 car company, Toyota, is not about to relinquish its hold on consumers and announced plans for a plug-in hybrid in 2010, as well as their own version of the hydrogen fuel cell by the end of 2008. May the best car win!